ArtWorks annually hires close to 200 high school students for traineeships in the arts. 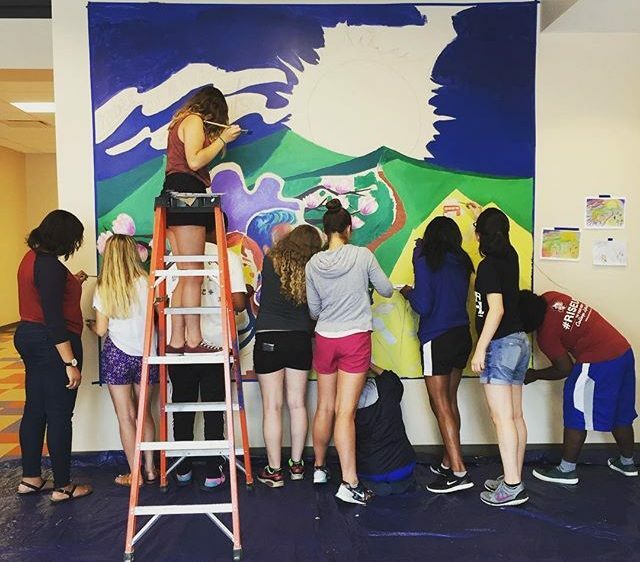 Students develop artistic proficiency, work ethic, and leadership skills to empower them for success in both 21st Century classrooms and workplaces. ArtWorks offers after-school sessions in the Fall and Spring and daylong sessions in the Summer. Under the guidance of professional artists, trainees are immersed in the study of an art form while gaining college- and career-readiness skills, and a paycheck. More than 50% of trainees are from low-income communities and, in many cases, the extra money is not only welcome, but needed in their homes. One alumnus wrote, “It’s hard to grow if you’re just going to a job at McDonald’s every day, or if you have nothing productive to do during the summer or after school. Not only did working at ArtWorks help take some of the financial pressure off of my parents while I was in high school… it also gave me the confidence to know that I can achieve anything I set my mind to.” This impact is the direct result of committed support from individuals and organizations which share CAL’s passion for improving student learning and strengthening our community through the power of the arts. You can sponsor a student, a teaching artist, or an entire co-op. Click here to find out how to give towards a scholarship for ArtWorks. Help keep ArtWorks sustainable into the future. For information on the ArtWorks Endowment Fund, contact Director of Development Margaret Gudbranson at 216.561.5005 x 24 or margaret@arts-inspiredlearning.org.